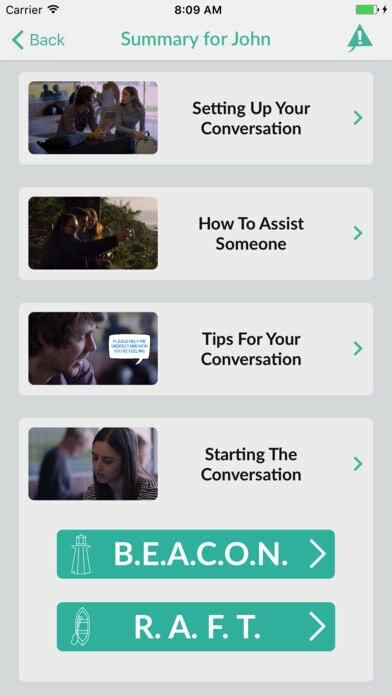 The Chats for life app will help you to plan a conversation with someone that you may be concerned about, who may be struggling or not going well. Designed with and for young people, a series of short videos will give you tips on how you may support their mental health and wellbeing. 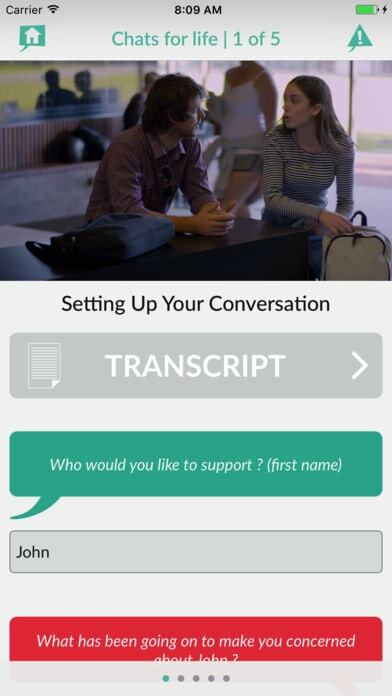 You can create and access your conversation plans and the video tips on your phone or tablet at any time and schedule chats with your friend or family member. Plan difficult conversations with the help of short videos. 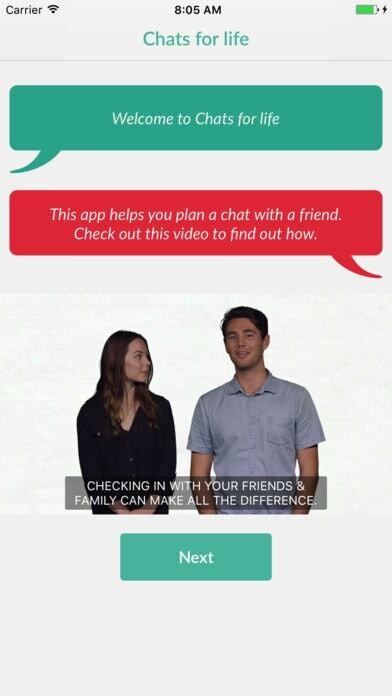 'Chats for life' provides a great structure for young people to reflect on ways to support their friends/family members who may be experiencing distress and/or suicide risk, but this needs to be balanced with ensuring that the young person has adequate support and does not take on sole responsibility for their friend/family member's well-being. This is a potentially very useful app but best used with the support of a mental health professional. How the app utilised several different formats to present the information such as drawings, videos, and text. Whilst the app allows the user to create a plan, it doesn't actually guide the user of how to actually carry this plan out. So it covers the what, but not the how. It also lacks how to create a safety plan with someone who IS suicidal and isn't willing to get help. It was great in that it got you to think about the person you were talking to and type in their name and other personal-ish information to help make the talk relevant to them. It wasn't a one size fits all approach which I really liked. I felt though it was meant to be targeted for young people (the people on the video were young) the information it covered was for older people who may not know the signs of mental illness.